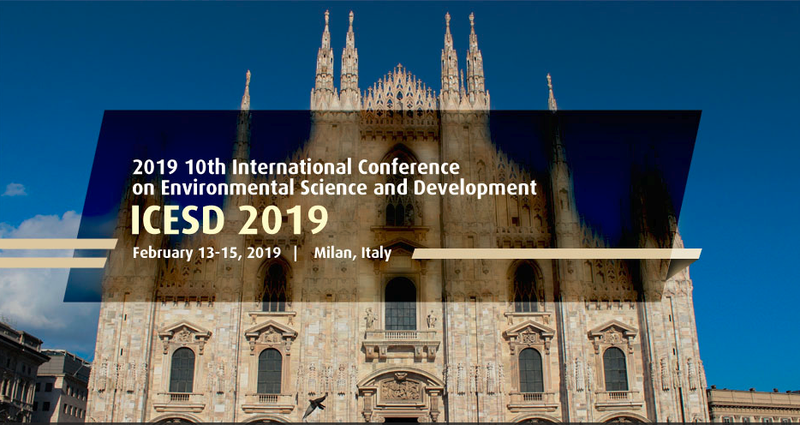 2019 10th International Conference on Environmental Science and Development (ICESD 2019) will be held during February 13-15, 2019 in Politecnico di Milano, Milan, Italy. 1. Accepted and published papers can be published into international conference proceeding which is indexed by EI Compendex, Scopus, Thomson Reuters (WoS), Inspec,et al. 3. The ICESD 2018 was very successfully held in Paris, France and we had one day tour to Paris. ICESD 2019 papers will be published in international conference proceeding which is indexed by EI Compendex, Scopus, Thomson Reuters (WoS), Inspec,et al..